I am a software engineer, weekend contrabassist, and occasional public speaker. I write English blog as well as Japanese blog once in a while. I tweet from @remore and email from k@swd.cc. I'm currently a software engineering manager at Media Technology Lab. while I'm VP of Engineering at NIJIBOX Co.,Ltd. at the same time. Aside from this, I do some hobby programming as well. My most popular repository is Burn, which is a toolkit to create 8-bit flavored application. In 2014 Burn v0.2 release is announced on reddit and HackerNews, and it spread to every corner of the world almost overnight. Lately I'm woking on virtual_module and julializer projects, both of which are experimental projects to make your Ruby program run much faster towards Ruby 3x3 goal. 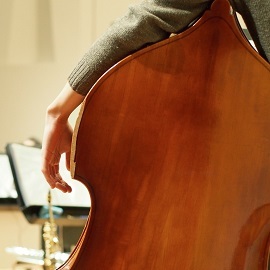 It has been more than 7 years already since I have started to play double bass, but I'm still struggling to learn the fundamentals. Suzuki double bass, Dörfler bow, Belcanto strings and Pop's rosin along with MSP-BASSk01 for pickup are my favorite.